When the going gets tough, you can count on Seaborne Morse. He has a plan for every situation and always has the last word, even when the plan fails, which is not often. He finds the funny side to everything and he just keeps on having the weirdest adventures. No wonder he needs all those escape plans! Whether he’s discovering the skeleton of an old pirate in a smuggler’s cave, bringing down the school bully, or outwitting a zookeeper to save an orang-utan, (and let’s not forget the hilarious naked humans exhibit at the museum! ), Seaborne Morse and his best mate Todd are in the action from beginning to end. Here are ten of Seaborne’s best Adventures. There are plenty more, but it’s best to start off with a few or else you might die laughing. 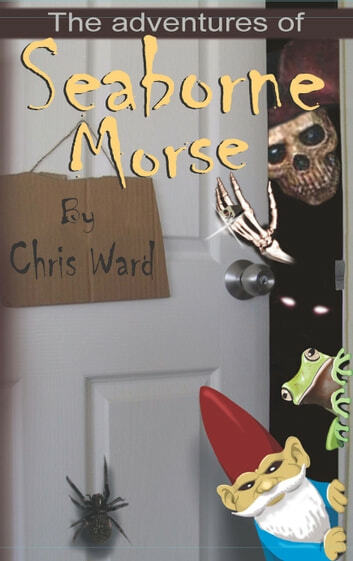 Seaborne Morse could be your new best friend.